Congratulations to Hoa Vincent Vu for graduating from the Dominican Institute of Theology in Saigon with a degree in theological studies. What a joy it was for Hoa to see the professors who taught him over the six years that he was at the school witness his receiving his certificate of achievement as he walked up on the stage. How proud his mother, aunt, and religious community were of him was evident by the great applause they gave him as he shook the hand of the presenter of the certificate. Hoa worked hard at his studies and absorbed a lot of knowledge. He was eager to put it to use. 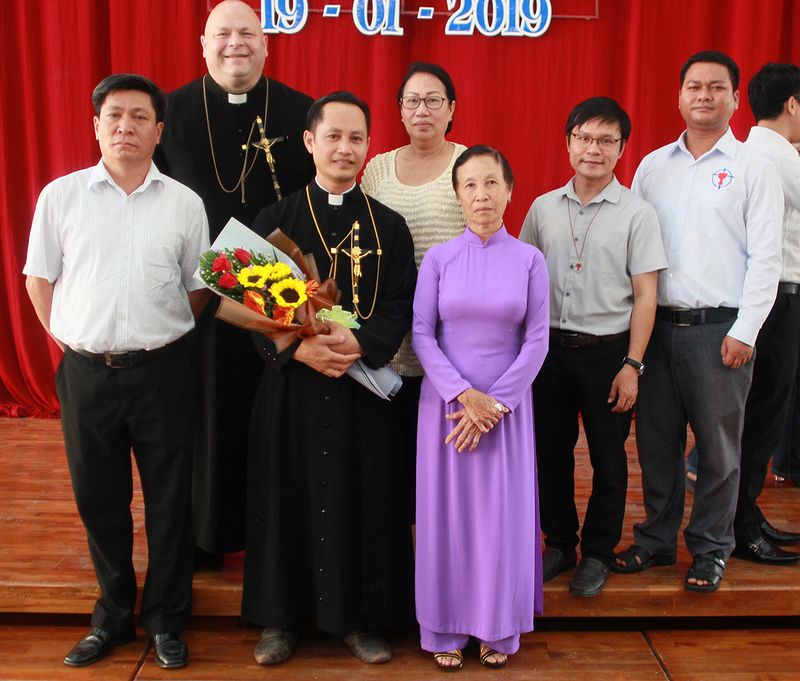 Hoa has done well to apply his ministerial knowledge in his first assignment as local director at our Tan Thanh Mission as well as Co-Director of Vocations for Vietnam Mission. He works well with Hao Paul Pham in their new ministry of seeking for vocations for ministry in our Congregation. Both Hao and Hoa are hoping to receive the ministry of Diaconate in the first week of May if all goes well with their obtaining visas for the trip to the United States.